This photo has a nice futuristic tinge to it. Go ahead and see if you can guess where it was taken. The answer is after the jump. 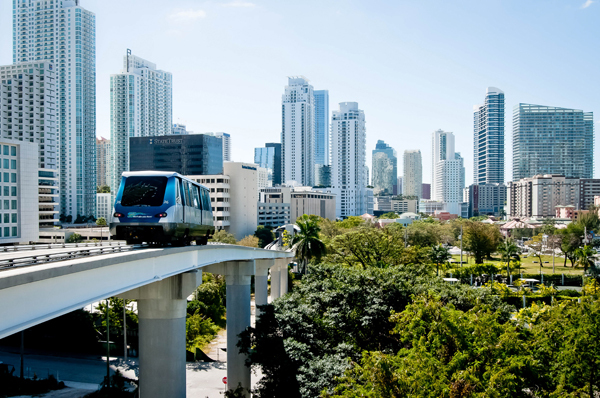 That’s the Metromover, which runs through downtown Miami, Florida. I hadn’t heard about the tunnel. But I always heard those walkways on Figueroa were peoplemover tracks waiting to happen.